Does the wheel gap on your new Audi make you cringe, but you don’t want to sacrifice ride quality and handling? 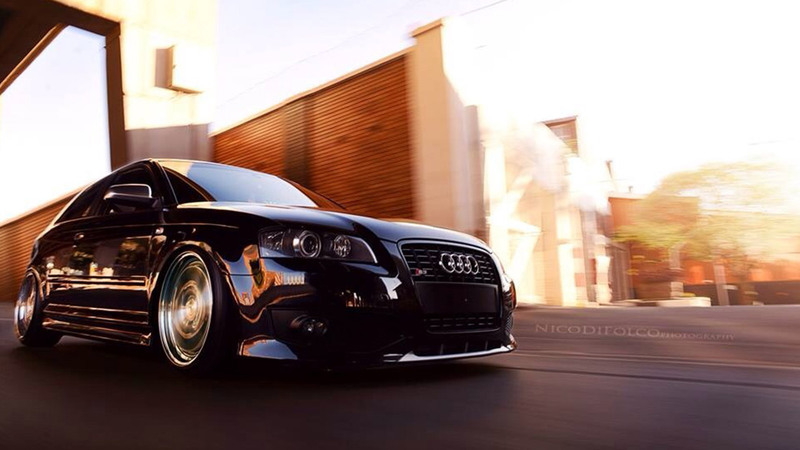 Well, we understand that you bought your Audi because you crave a high-performance, well-handling machine. We also understand that you want to modify your ride without compromising its factory-made excellence. 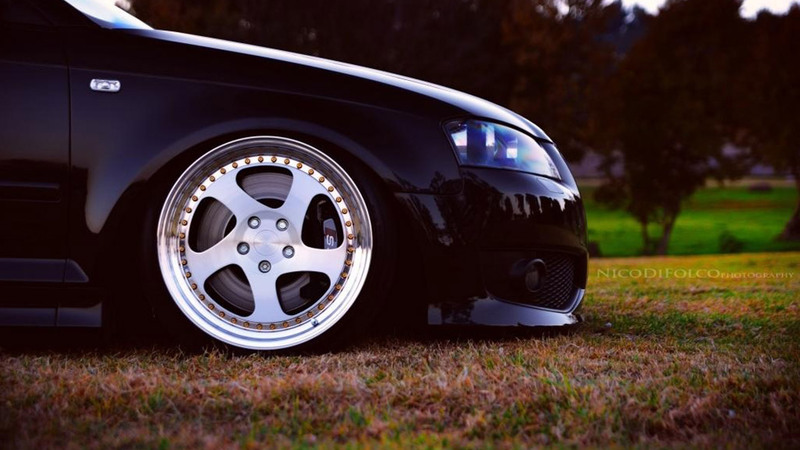 That’s why Air Lift Performance developed the bag-over-style, threaded body strut kit. Not only does this mono-tube strut offer you a whole new world of adjustment—by simply changing the height of the lower strut mount—but it also has 30 levels of damping adjustment to really let you conquer the track. To help you reduce your lap times even further, we have included adjustable camber plates that utilize a high-quality spherical bearing. This kit also retains the use of the front sway bar, so you no longer need to sacrifice handling to go low! In the rear, we use double-bellow bags with brackets that simply bolt on to the chassis, no cutting required! When you couple our smooth riding bags with our 30-way damping, adjustable shocks, you get the kind of drop, improved handling, and superb ride quality you are looking for out of your Audi. By now, you have figured out you can improve your handling with Air Lift Performance parts… but what about going low? With the proper frame modifications, you can expect a 5.8inch drop in the front and the rear from your sky-high factory ride height—making it impossible for your neighbors cat to hide out under your ride. Everyone at Air Lift Performance is seriously addicted to the thrill of a corner, taken at speed and going as low as the ground will allow. So rest assured; your kit has been track-tested and tuned to give you the best handling experience as possible, and it’s been engineered to give you a ground smothering stance. 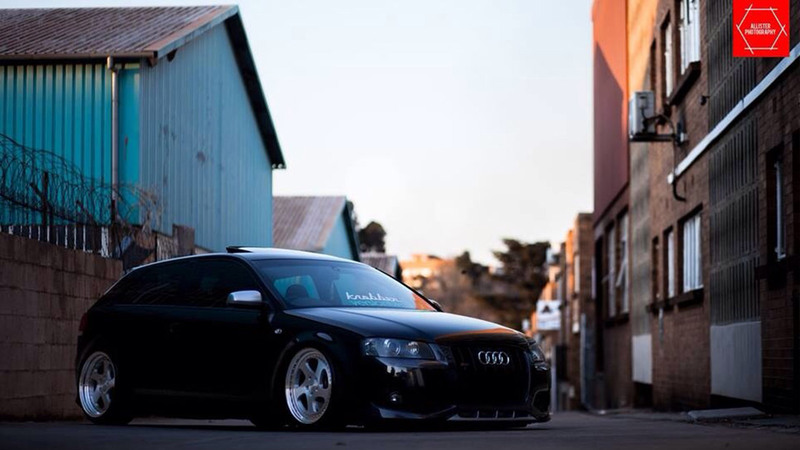 Still thinking about using coilovers to go low with your Audi? Coilover suspension simply cannot compare with the versatility of air. With our infinitely adjustable ride height, you don’t need to worry about driveway entrances or speed bumps in order to enjoy a lowered car. With the push of a button, you can adjust your ride height.No more using a wrench to change your car’s look or usability. Lose the worry about the punishing ride that goes with many conventional suspension choices. Instead, you can rideon air. Installation is simple with Air Lift Performance’s detailed instruction manuals. Anyone with the skill to wire a stereo or swap suspension components can have their car on the ground in a matter of hours. Only basic hand tools are necessary to complete the job. Although you must keep this in mind: if you are looking for the best of the best in low “frame modifications,” the installation will require some fabrication skills. As the leader in air suspension products for over 60 years, Air Lift is committed to delivering quality parts that last. To ensure longevity for the customer, the key suspension components have been tested on a durability rig for over one million cycles, which equates to 100,000 miles. With a one-year, unlimited-mileage warranty—not to mention Air Lift’s reputation for great customer service and technical support—you can purchase this kit with peace of mind. Ditch those coils and get yourself down!